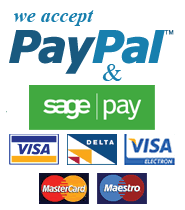 Our online credit/debit card facility is provided by Sagepay Protx or Paypal who are leading, state of the art secure online payment providers. Delivery charge is £5.95 to mainland UK excluding the Scottish Highlands. Orders outside our normal delivery charge area such as Northern Ireland, Scottish Highlands and offshore islands will depend on weight and destination. Please email us info[a]buypestcontroltraps.co.uk for a delivery cost in these areas. Orders to Europe start at £14.10 (inclusive). If you require orders to be left without a signature and left in a safe place, we can do so but the responsibility of safe receipt of the goods passes to you and no claims of non-delivery will be accepted. Items subject to a manufacturers guarantee that are found to be faulty during the period of that guarantee, may be returned to us for testing, repair or replacement under the terms of the guarantee. We must be notified prior to return and a returns number must accompany the item with the reason for return.